Chicago is a city filled with people in power, whether it be politically or financially, but when it comes to the person with arguably the most clout, it appears Mayor Rahm Emanuel is no longer at the top. Citing the recent fallout from the Laquan McDonald shooting video, another year of headline-making violence, the city’s dipping credit rating and Emanuel’s suffering reputation, Chicago Magazine bumped the mayor from the top spot on its annual list of the most influential Chicagoans. Instead, Cook County Board President Toni Preckwinkle took first place on the power 50 list. Preckwinkle, noted by the publication for being “a workhorse and policy wonk who appeals to lakefront liberal types,” was commended for not running against Emanuel during last year’s election. Emanuel made the list at no. 2 amid mounting calls for his resignation. Late last year he was named on a heavily editorialized list of “The Worst People of 2015” by GQ Magazine. 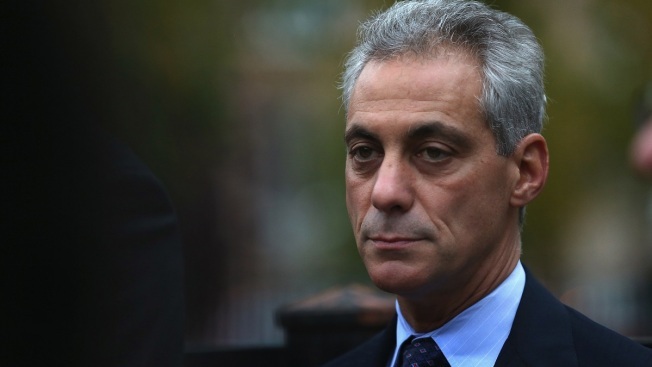 “Rahm will do whatever he has to do to recover—even if it means donning more fuzzy apology sweaters,” the report states. Also named on the list were Pritzker Group's J.B. Pritzker, Citadel Investments founder and CEO Ken Griffin, Illinois House Speaker Michael Madigan, Equity Group Investments founder Sam Zell, Chicago Blackhawks Chairman Rocky Wirtz, Gov. Bruce Rauner, and Chicago Cubs chairman and co-owner Tom Ricketts.